​See your horoscopes below for the week of April 15th and be sure to read for your Ascendant sign too. To have your horoscope and other special announcements emailed to your inbox, sign up for my weekly newsletter! 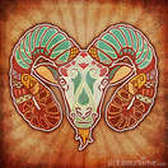 ARIES: Big boy Jupiter stationed retrograde last week, asking us all to get grounded in our enthusiasm for broadened aims. For you, Aries, this involves all the ways you could possibly further yourself, whether through travel, higher learning, or vocational aims. This is a time to consider next steps involving those dreams for your future. Where can you take a greater leap of faith? You have the next few months to get clear on your higher purpose. As a certified Life Coach, my job is to empower you to live an empowered life. Visit my service page for details. TAURUS: As Jupiter stations retrograde, you should finally see the reward for those commitments and projects that have begged the need for you to invest more of your time, love, and energy. If results have been slow to manifest, what needs to be tweaked? Jupiter retrograde slows momentum as we take stock of what our efforts have been able to produce. Revisit your strategy, Bull; see where you’ve been and consider where to go next. As a certified Life Coach, my job is to empower you to live an empowered life. Visit my service page for details. GEMINI: Jupiter’s transit of your relationship sign has brought all kinds of growth and enhancement to your connections with significant others. You, Gemini, have even evolved through partnerships. As the biggest planet in our solar system stations retrograde, a recap is in store. What relationships can you continue to cultivate? How can you show up in a healthy way for important others? Relationship dynamics will settle as your bonds deepen. ​As a certified Life Coach, my job is to empower you to live an empowered life. Visit my service page for details. CANCER: Jupiter’s transit through the sign of Sagittarius has brought busier days, Cancer. As this planet retrogrades over the next few months, busy days will taper off. You may be streamlining daily affairs, offloading certain projects, or settling in to a new routine. Keep in mind that Jupiter’s purpose in your life is meant to enhance your quality of life. Wherever that is lacking – where you are stressed or overwhelmed – is where to make change. As a certified Life Coach, my job is to empower you to live an empowered life. Visit my service page for details. LEO: The planet Jupiter is retrograde now through August 2019, offering a five-month window to tweak artistic projects, try again with children, or get in a groove with a romantic prospect. But first, you may need to resolve creative blocks and other unrealistic expectations that limit you from tapping into your authentic power. A new strategy and a revised timeline could be just what you need to give birth to your greatest creations, Leo. As a certified Life Coach, my job is to empower you to live an empowered life. Visit my service page for details. VIRGO: Jupiter retrograde will see you revisiting home and family matters. Many Virgos may decide to begin renovations, undergo a significant purge, reconnect with close loved ones or break ground on a new home project. This is also a wonderful time to reconnect with your inner roots, Virgo. Where do you need nourishment? How can you nurture your emotional well-being? Your personal foundations also need attending to; be equally diligent. ​As certified Life Coach, my job is to empower you to live an empowered life. Visit my service page for details. LIBRA: Jupiter retrograde sees you settling in to a new classroom setting or community environment, Libra. Whether you have enrolled in a learning program, or find yourself exploring different surroundings, newfound stimulation now requires your attention. Communication platforms that allow for greater self-expression will also be revised, as you revisit thoughts, ideas, and brainchildren to give voice to. A total mental review is in effect. ​As a certified Life Coach, my job is to empower you to live an empowered life. Visit my service page for details. 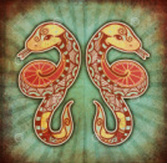 SCORPIO: Money matters are up for review as Jupiter stations retrograde, Scorpio. You may be tweaking a financial plan, identifying new streams of income or reconsidering an important investment. Jupiter has brought abundance in the form of useful resources since November, and now is the time to reap the rewards or consider how to better manage your priorities. What do you value? Whodo you value? How can you cultivate wealth in all areas of life? ​​As a certified Life Coach, my job is to empower you to live an empowered life. Visit my service page for details. SAGITTARIUS: Jupiter has been transiting your sign since the end of 2018, influencing greater confidence, more self-esteem, and opportunities for self-advancement. As the planet of luck and fortune retrogrades now through August, you may be revisiting opportunities that brought growth, or reconsidering where to go next along your personal journey. You can get clear on your vision. Use this time to deepen your faith and trust an evolving process. As a certified Life Coach, my job is to empower you to live an empowered life. Visit my service page for details. CAPRICORN: Your word over the past few years has been “transformation,” Capricorn. Every element of life has changed and morphed and evolved, courtesy of planets in transit. In fact, Jupiter has been transiting the area of your star chart that brings inner growth and introspection. As this planet retrogrades, you can begin to integrate spiritual awareness to your everyday life as transformation continues. A personal enhancement is now underway. As a certified Life Coach, my job is to empower you to live an empowered life. Visit my service page for details. AQUARIUS: Jupiter retrograde may see you reconnecting with people from your past, revisiting old affiliates, or revising the launch of an important endeavor. Now is the time to (re)consider where you fit and belong, Aquarius. Who is your tribe? Who will support your ideas? Who can you trust and rely on for both personal and professional advancement? Opportunities to align with the right folks are possible. Put yourself out there and network. As a certified Life Coach, my job is to empower you to live an empowered life. Visit my service page for details. 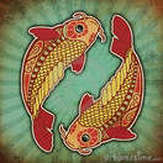 PISCES: Career matters will be revisited now that Jupiter is retrograde. Professional advancement and entrepreneurial endeavors may require some tweaking; it is equally possible that you are getting comfortable in new job opportunities. You have a short window to step into a vocation that reflects your sense of purpose bringing accolades and recognition. Do not be afraid to know and own your authority, Pisces. Rewards are in store. As a certified Life Coach, my job is to empower you to live an empowered life. Visit my service page for details.